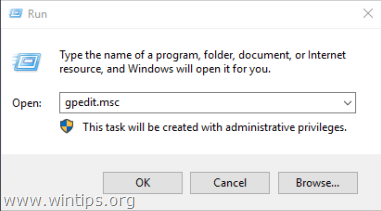 This tutorial contains instructions to fix the error "To sign in remotely, you need the right to sign in through Remote Desktop Services", when trying to connect from Windows Remote Desktop (RDP) Client machines on a Windows Server 2016 which is running Remote Desktop Services. How to FIX: To sign in remotely, you need the right to sign in through Remote Desktop Services. Step 1. 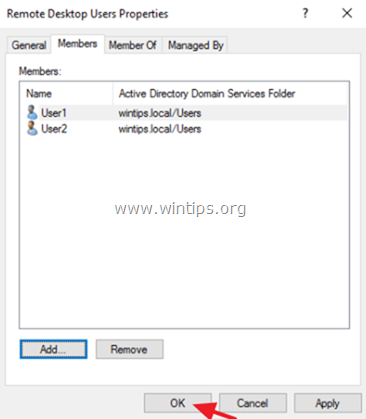 Add Remote Desktop Users to the Remote Desktop Users Group. 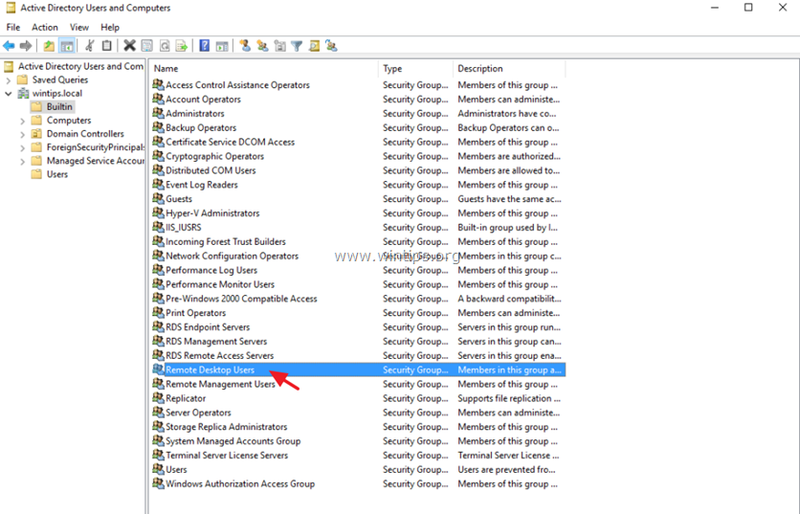 * Note: If the RD Session Host Server is not installed on the Domain Controller, use the 'Local Users and Groups' snap-in or the 'Remote' tab in the 'System Properties', to add the remote desktop users. 3. Double click at your domain on the left and then select Builtin. 4. Open Remote Desktop Users on the right pane. 5. At Members tab, click Add. 6. 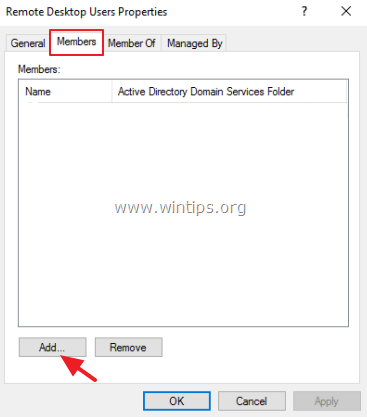 Type the AD users that you want to give Remote access to the RDS Server and click OK.
7. After selecting the remote desktop users, click OK again to close the window. 8. Continue to step-2 below. Step 2. 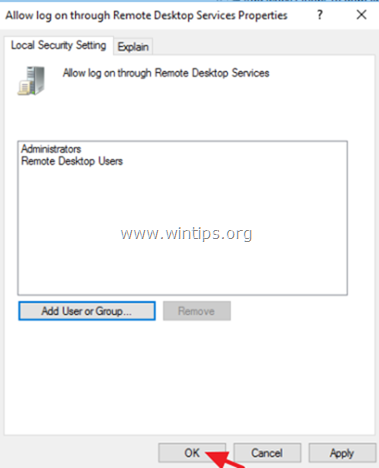 Allow the log on through remote desktop Services. 2. Type gpedit.msc and press Enter. 2. 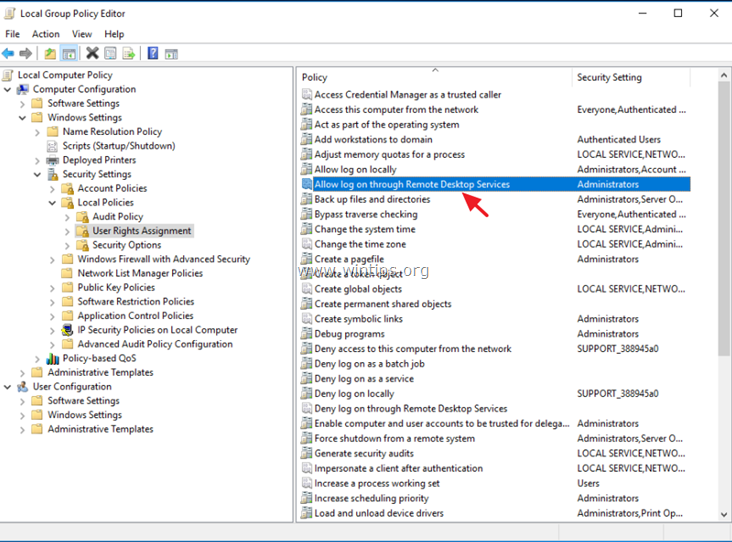 In Group Policy Editor navigate to: Computer Configuration > Windows Settings > Security Settings > Local Policies > User Rights Assignment. 3. 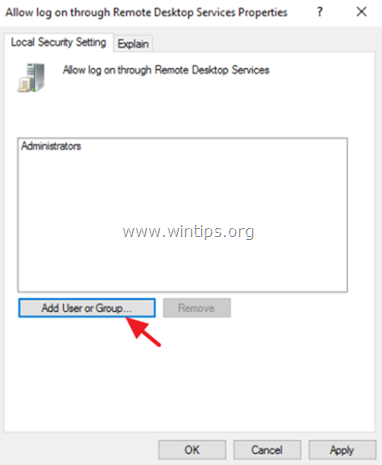 At the right Pane: double click at Allow log on through Remote Desktop Services. 4. Click Add User or Group. 5. Type remote and then click Check Names. 6. Select the Remote Desktop Users and click OK.
7. 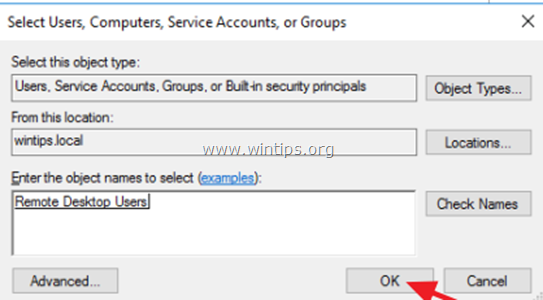 Click OK at 'Select users, computers…' window. 8. Finally click OK again and close Group Policy Editor. 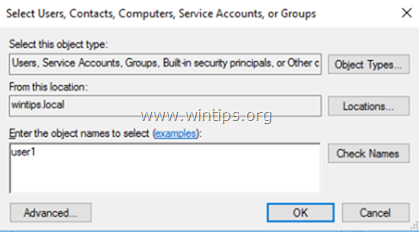 « FIX: Installation of Routing and Remote Access failed because Class not Registered 80040154 – Server 2016 (Solved)	» How to Create System Image Backup in Windows 10, 8 or 7 OS. it helped me to resolve the issue for the client.